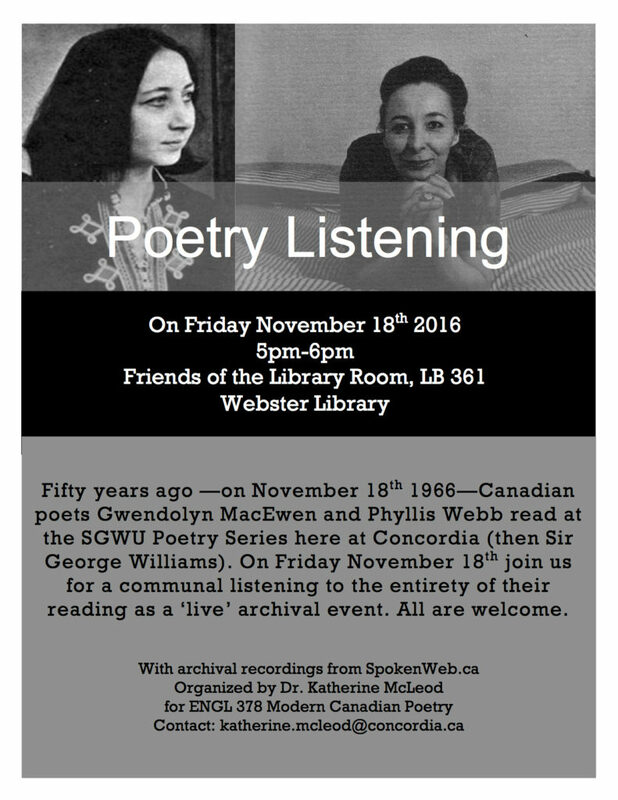 Poetry Listening: A Reading by Gwendolyn MacEwen and Phyllis Webb, from November 18, 1966 (played from the audio files of SpokenWeb). Organized by Katherine McLeod (Assistant Professor LTA at Concordia & curator of Where Poets Read) as an event through which to consider where poets read — and read, in past tense — here in Montreal. This first experiment in listening will be followed by a second archival listening (poet & time TBA) during The Literary Audio Symposium (Dec 2-5).